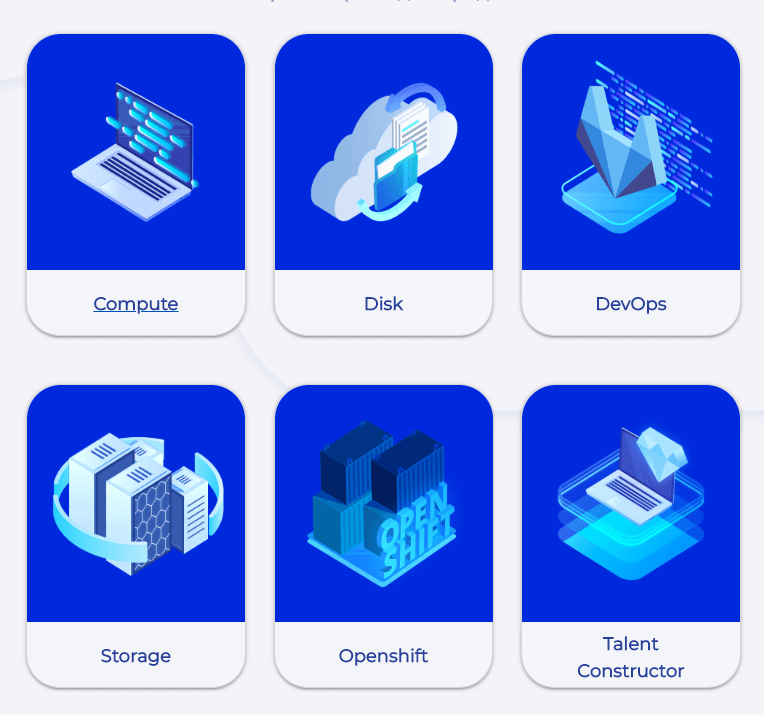 The IBA Cloud Platform is an easy-to-use cloud computing platform that enables small teams and large companies to build, test, and deploy cloud applications. The IBA Cloud Platform lets you focus on your product, taking care of the rest. It is up to you, which part of virtual infrastructure to use and when to use it. You can easily tailor the available resources to match your needs. IBA Cloud Platform 2.0 comprises a suite of products that provide the following features. 1. Compute. Order cloud services directly from the catalog (virtual machines, application images, and network access. 2. Disk. Store and share files from a browser, mobile or desktop application. 3. DevOps. Securely manage, store and debug your code on a private Git repository. 4. Storage. Store and access distributable objects. Our file system ensures high performance, reliability, and versatility. 5. OpenShift. Build, run and scale applications in the cloud. 6. Talent Constructor. Enhance your HR management system (HRMS), streamlining the hiring processes and improving the employee experience. Seamlessly integrated with the existing HRMS and fully scalable. The IBA Cloud Platform runs development and production environments in an OpenShift cluster for centralized service deployment and delivery. For more information, see the IBA Cloud Platform page.